Subway tile is timeless. Installation is easy. And with some tips you can have a new shower in a few days. However, there are several mistakes to avoid. 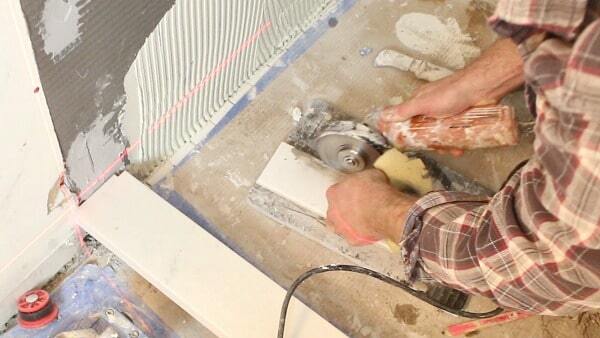 We’ll also share what tools make subway tile installation easier and more precise. Subway tiles have been around for a long time. Since the early 1900s this type of tile has been in homes, train stations, hotels, and restaurants. And for a good reason – it’s looks good and is durable. This Old House has a nice article on the history of subway tile. Back in the day 3×6 subway tiles were the most popular size. Currently there are endless variations. 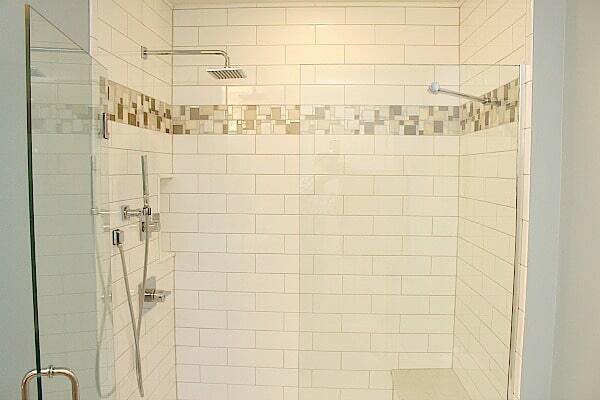 For instance, we used 4″ x 12″ subway tiles in this shower. Our prior tutorials had tips on how to tile the main wall and around a bench with subway tile. Today we tackle the plumbing wall. First, find the center the wall and make the position. Then copy the design of the opposite wall. For example, the first row on our bench wall had a 4″ piece in the corner flanked by a full 12″ tile. We copied this design on the plumbing wall. Furthermore, our plumbing wall bullnose tile ended at the curb edge just like on the bench wall. Shower pans are contoured and sloped toward the drain. Thus, the first row of subway tile will need to be cut to size. 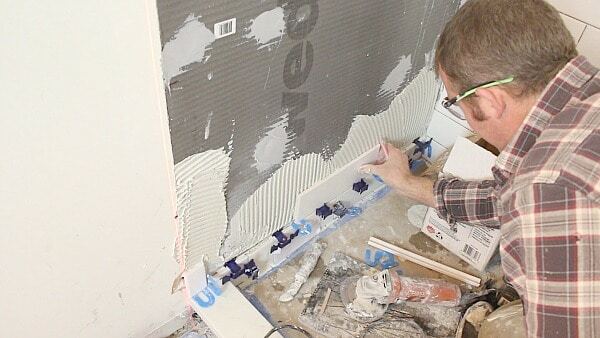 One of the best tools for subway tile or any tile for that matter is a laser level. We positioned the horizontal laser 4″ above the shower pan. And used it to determine how to cut the tile. Angle grinders equipped with a great diamond blade make these contoured cuts easy. Montolit’s CGX115 diamond blade made this a breeze. 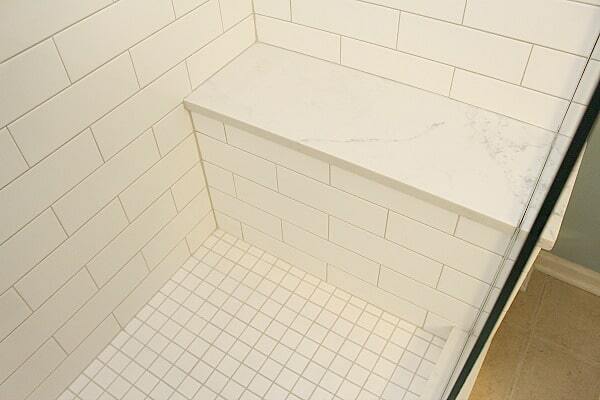 Leave at least a 1/8″ gap between the first row of subway tile and shower pan. Do this at all changes of plane, e.g. vertical walls, curbs, etc. This provides the necessary expansion and contraction gap required by industry standards. One BIG mistake is not having these gaps! Ultimately the tiles could crack and nobody likes replacing tiles. It’s a pain. The first subway row establishes how to set the second row. In this example we started the second row with a full 12″ tile. Steve marked the center of the 12″ tile and lined it up with the center mark on the plumbing wall – this also corresponded with a grout joint in the first row. Then we cut the other two tiles to size with a manual tile cutter. Tuscan SeamClips – a tile leveling system – were used between tiles. 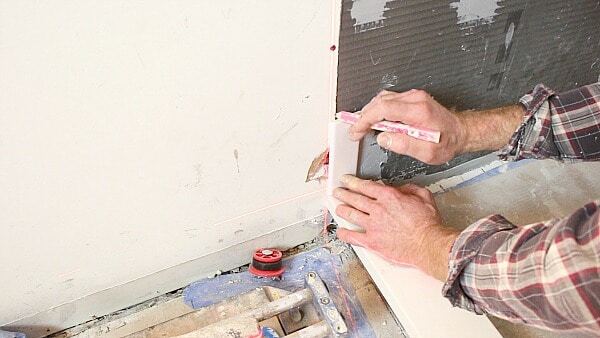 This system compresses subway tiles into the thin-set, holds them in place, and allows us to use horseshoe shims to maintain even grout joints. Once the second row is established we simply copy the first row above it and work our way up the wall. What about the mixing valve? 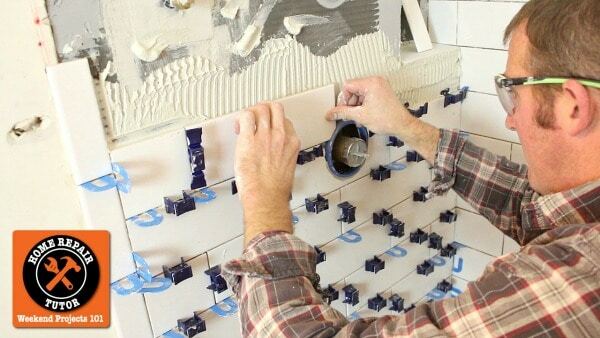 How are tiles cut to fit around a mixing in the wall? Remodeling a shower or bathroom takes time. 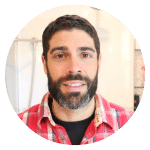 Hi Jeff and Steve, should I use 100% silicone or Mapei’s silicone blend that matches the color of the grout… Or use the silicone… But how do I matches my grout? Hi Nelson, thanks for the great question. We recommend 100% silicone for any change of plane, e.g. corners, wall tile/shower pan transition, tile/curb transition, etc. Mapei’s grouts typically have a matching silicone but we use white silicone if white grout is used.